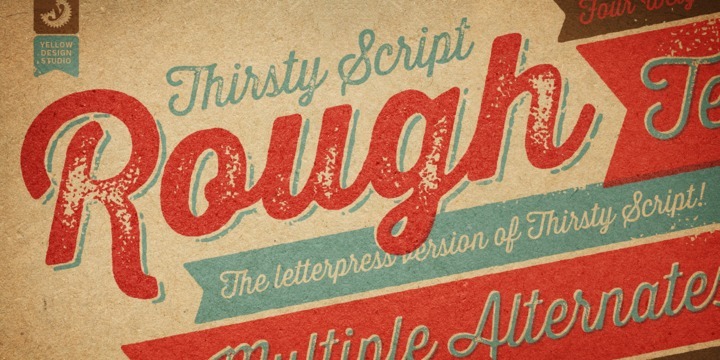 Thirsty Rough is a warm typeface created by Ryan Martinson and published by Yellow Design Studio. Thirsty Rough has a remarkably detailed texture that captures the authentic qualities of letterpress printing. A font description published on Friday, January 11th, 2013 in Fonts, Yellow Design Studio by Andrei that has 7,338 views.